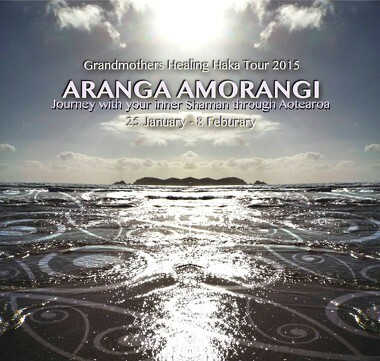 12 nations followed the karanga (call) to Aotearoa New Zealand to embark on the magical journey of the inner shaman. The group began to bond during the opening pōwhiri (welcoming ceremony) upon Maungakiekie (One Tree Hill). In the park below we shared a delicious picnic before sharing a ceremony at the Rongo Stone of peace. 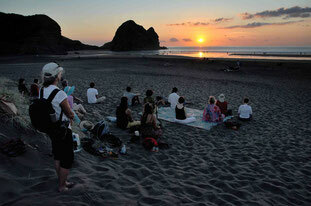 Then in the evening at Piha beach after fish’n chips our day ended with meditation in the brilliant golden sunset. Each and everyday was like a lifetime filled with messages and experiences to treasure forever. The second day in the Auckland city centre, we began gentle. Introducing Te Ao Maori (The Maori World). Entering the processes of Wananga (learning time&space) that connected us with whakapapa (geneology) and our ancestral roots. We began our journey North upon the trail of the ancestors visiting the guardian and master carver of the kauri art gallery. The further we traveled north, the deeper the wānanga weaved. While sleeping together among the ancestors on the marae, sharing songs, stories and karakia (prayer) the Grandmothers Healing Haka was igniting and uniting the Whanau Wheiao (family of the light) to the spirit of the land. Like as if we were returning home to the Hokianga, Tane Mahuta God of the forest and the majestic kauri forest embraced us all while we were well guided by our gracious elder. Spirit guided us also to special places that were not planned in the itinerary but which allowed profound healing to unfold among the ancestors. Then the healing from the mirimiri and romiromi and the Raranga weaving, bound the mind body and soul to anew. After heaps of fun sand surfing we were blessed by Ngāti Kuri to visit Te Rerenga Wairua (the leaping place of the spirits) under the full moonlight. We sang we performed haka and sent prayers to loved ones far and wide. 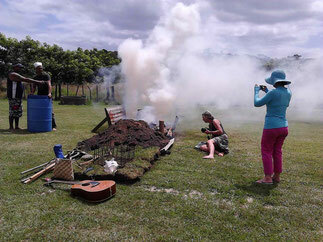 We ended with ceremony to acknowledge those souls departing and returning to Hawaiki Nui (great Hawaiki). Waitangi Day presented an enormous banquet with Waka (canoe), kapahaka (haka performance), song, music and food with thousands of people uniting giving hope for the future as the youth also showed pride in their culture. The next day we closed our Aranga Amorangi Tour 2015 with presentation of certificates around the Hangi (traditional cooking) that we as whānau wheiao had prepared all day. 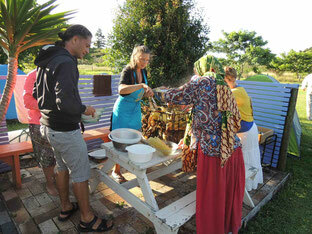 Some invited close whānau and friends joined us to share this precious moment and the delicious Hangi mmm yum! What an amazing journey! A big thank you to all the Whānau Wheiao for engaging and carrying the responsibility to make this a success. We carried each other in the heart and wherever we went the land and it’s people reflected the light and aroha. A big thank you too to all the whānau and friends who catered, facilitated guided and mirrored the beauty of Aotearoa the land of forever radiant light and also a big thank you Grandmothers Healing Haka Trust for being a great waka (boat) for such events. Plant the seed of good intension. The divine seed Io.